Full Size Kitchen, Living Room & Three Bedrooms Upstairs And Downstairs A Wet Bar, Family Room, Two Bedrooms, A Half-Bath, Storage And Laundry Room. There Is A Large Greenhouse In The Back Yard And The Front Yard Has The Shade Of A Large Mango Tree And A Patio Swing For Watching Sunrise Over Diamond Head. 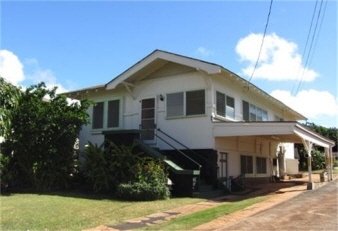 Perfect Location With Easy Access To Everything In Honolulu.